If you have bought a brand new TV, then you should probably consider mounting this new gadget. Setting television, projectors, cabling, and mounting is not easy as many people may think. When the mounting of a television set is done wrong, it can lead to serious damages and that why it is advisable to get the services of a professional. For those who live in Toronto have nothing to worry about because Max Home Security is there to offer different Tv mounting services.We handle any projector an television setup, cabling and mounting in a better way. This service is crucial to you because the safety of your gadget is enhanced. Nice cabling will guarantee you a neat place no need to worry about messy cables. We also offer different Tv mounting options that correspond to your needs. With us, you don't have to worry about TV mounting ranges because we provide you with variety mounting ranges. One example is the swivel wall mounting which allows you to watch a TV from any side of your house. For quality sound, we mount Tv and speakers in the right way. We know how to place these two to achieve proper surround audio that you have in your home. Not only that we will mount your TV, but we also carry out the diagnosis for your reception problems. We exactly know what to do so that we cannot affect the performance of the TV with the changes we make. One of the latest common item on the list of the different household product is a flat screen TV wall mounts. With advancement in technology, Tv sets have become lighter and thin hence making it easier for someone to mount them on the wall the same you do with pictures. For you to be able to achieve this, you need to purchase a TV wall mount. They are small devices but very crucial because the enable your tv to cling to the wall. These TV mounts come in different brands and models, and they include LCD, Flat screen, plasma and Led. Steel is what makes different TV mounts. They are made of two different parts the first on being wall plate, and this is the part that is clamped on the wall. The other part is the one that is made a clamp and two rails, and this is the part that is fixed on the television. You begin by attaching the TV to the clamp then followed by fixing the wall plate on the wall. 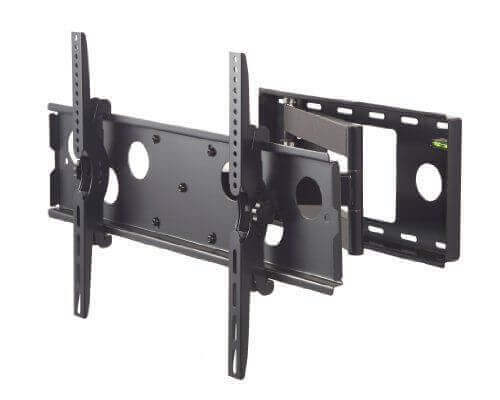 When you are done with attaching the two parts, Be sure your TV is ready to be mounted on the wall.TV wall mounts exist in different types and sizes. The size of the TV is the one that determines the size of the wall mount. TV wall mounts handle the different weight. They exist in different categories which are stationary and tilt wall mounts. It is advised when you are buying cables to be used during Tv installation to purchase longer cables. Buy longer cable than you need without considering whether your TV is to be fixed on a wall or it will go on a stand. Extra wire can be hidden, but too short cables can lead to breaking and damaging of your equipment. 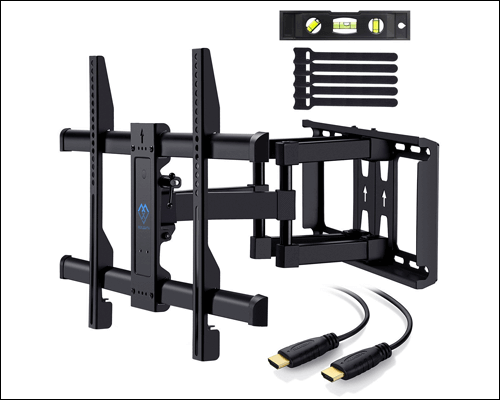 8-foot cables work better for typical flat panel installation which has a tilting wall mount and most of the equipment located on the TV directly. To connect before the Tv is on the wall, a 12-foot cable is better. Lastly, when it comes to wires, Those with bulky connectors should be avoided because they might not plug in or fit well behind slim LED. Home Theatre and Surround Sound Setup. 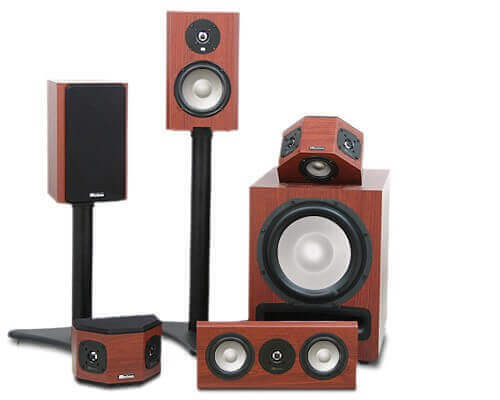 An ideal home theatre sound system is the most important in any home to enjoy a movie to the greater extent. In most cases, many people forget this crucial item. In a home theatre package Surround sound is also an important defining element. Watching a Tv in a surround sound environment is a beautiful experience actual movie theatre's sound enhancement is enabled. For a home theater packages, surround sound is a crucial component, complementary to high-quality television systems, ideal for a home theater package. Having the right sound system setup with the right surround sound format then you are assured an of a home movie experience that is equivalent to that of a movie theatre. Having the right company for your TV mounting in Toronto is what will enable you to have your TV set up done to a level of your satisfaction. Max Home Security can be a good choice for you.We have the right skills and experience that are needed to handle your project fast and in a smooth way regardless of your preferences. With such skills and qualifications, we believe your set is safe because we know how to handle delicate electronic during the process of mounting. Give us a chance today to work for you by calling us at your place. We believe at the end you will have your TV and other gadgets mounted in the right place.